It's all about the process, right? This one took 4 hours. Seriously, 4 hours. I worked on it all afternoon at work-- it was a slowwww day. 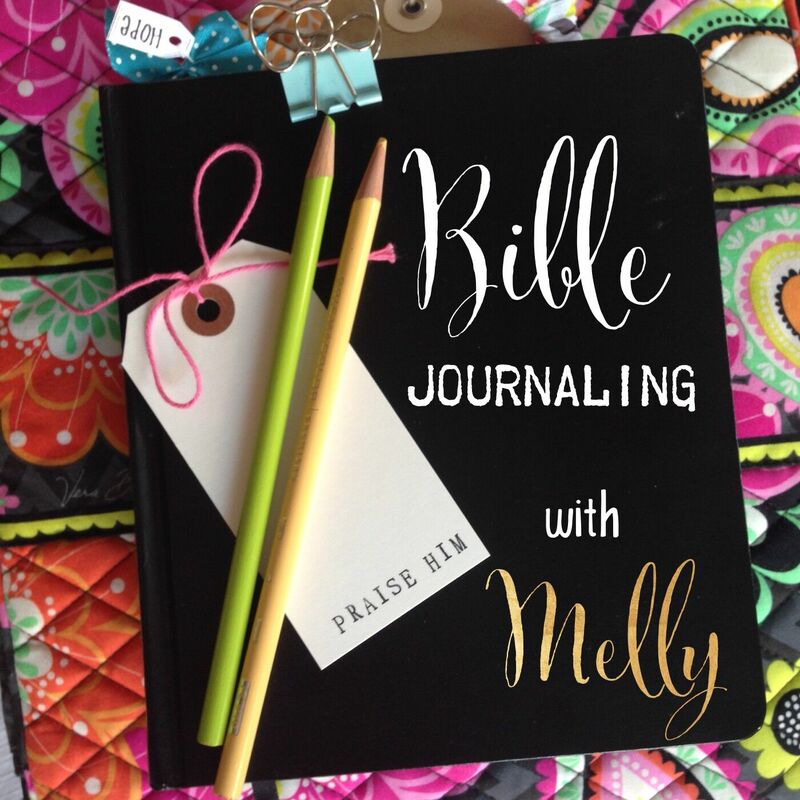 The journaling started in my brain with a magnificently beautiful combination of fonts and swooshes, embellishments and leaves. I sketched the whole thing out in pencil and transferred it to my bible where I outlined it with a 005 Micron like I usually do. When I was finished, I just stared at it and well, it just didn't work. Perfect. Now I have to figure out how to cover it up. I pulled out a couple pieces of scrapbooking paper and wrote the scripture on them-- changing the fonts and swirls ever so slightly. I tucked it into my Bible and waited for something magical to happen. But, it didn't. It just didn't work. I decided it would be so clever of me to make a little seed pocket out of a brown paper bag. I trimmed and folded and even scalloped the top edge to make it look like a real seed packet. I placed it over the yucky lettering and it just stared back at me. It just didn't work. So, I tried to keep the seed packet idea by creating a fold-over card out of a vintage seed packet graphic. I thought I would write the verse in the inside of the card and glue it over the yucky lettering. Before I glued it in, I looked at it again and yeah, it didn't work. At that point, I was minutes away from cutting the margin right off the page. Then, I shut my Bible and stopped. I decided to deal with it when I got home. Around this time, God spoke to me. It was if he was saying, "You are totally missing the point." 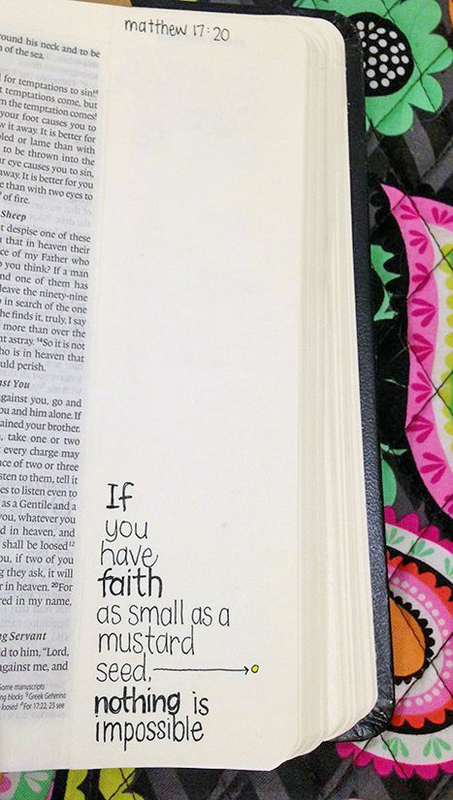 You only need faith the size of a mustard seed. Nothing fancy, nothing extraordinary, nothing impressive. Just the tiniest of seeds. That's all you need. So, this is where I ended up. I carefully trimmed one of the blank pages from the back of the Bible, folded it in half and glued it together, then glued it over the original design. Better. Simple, plain and modest. I like it!